Although the Jaipur Gate sits imposingly at the front of Hove Museum & Art Gallery’s well-maintained grounds, it can hardly be described as a gate. It is in fact a replica of a form of bandstand that would have once stood in the courtyards of Indian temples and palaces. The Colonial & Indian Exhibition in South Kensington was opened by Queen Victoria in 1886 and attracted 5.5 million visitors. The Jaipur Gate formed the entry to the Rajputana section of the exhibition and its construction was paid for by the Maharaja of Jaipur. It was transferred to the Imperial Institute after the closure of the exhibition and was donated to the Hove Museum in 1926. Interestingly, Hove Museum’s own 11ft high iron gates have a wealth of history of their own. They are originally from Bramford Hall near Ipswich and came to Hove in the 1950s. Skilled Indian craftsmen carved and assembled the teak Jaipur Gate but it was actually designed by two Englishmen called Colonel Samuel Swinton Jacob and Surgeon-Major Thomas Holbein Hendley. The inscription on the front, in English, Sanskrit and Latin, is the motto of the Maharajas of Jaipur and reads, ‘Where virtue is, there is victory’. The Latin inscription on the back reads, ‘From the east comes light’. The Gate was removed from the grounds of Hove Museum between December 2004 and June 2006 and was extensively refurbished. Its copper dome was replaced, its legs were raised from the ground, decayed timber was replaced and a lead roof was introduced. It’s now looking better than ever. 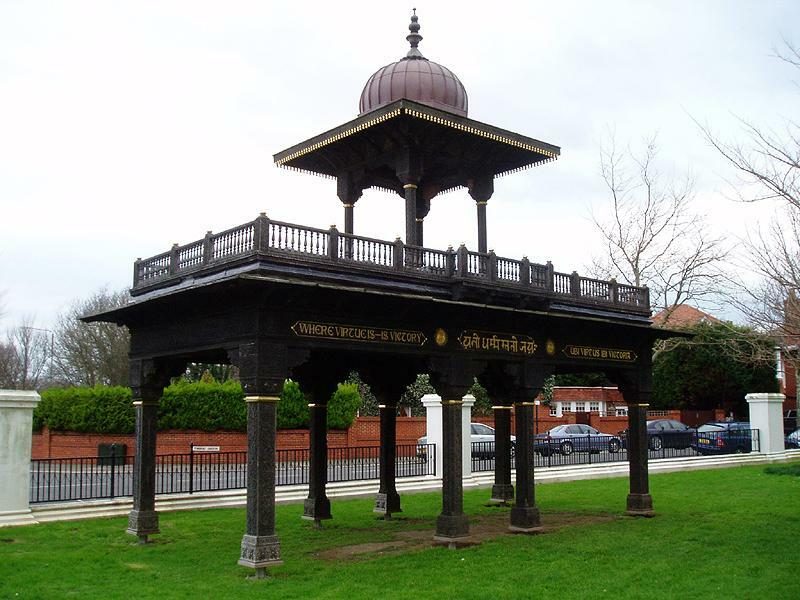 There are several monuments in Brighton & Hove with an Indian connection. Most obviously, the Royal Pavilion draws on Indian architecture for inspiration but not many people know that it was used as a hospital by wounded Indian soldiers during the First World War. Its South Gate was a gift from India for this reason and was dedicated for the use of the inhabitants of Brighton by His Highness the Maharajah of Patiala in 1921. The stunning Chattri Memorial sits 500ft above sea-level to the north of Patcham, and marks the site of the ‘ghat’ where many Indian soldiers were cremated. It was also paid for by the India and was unveiled in 1921 by the Prince of Wales. Hove Museum is well worth a visit in its own right but the Jaipur Gate adds that extra bit of spice! 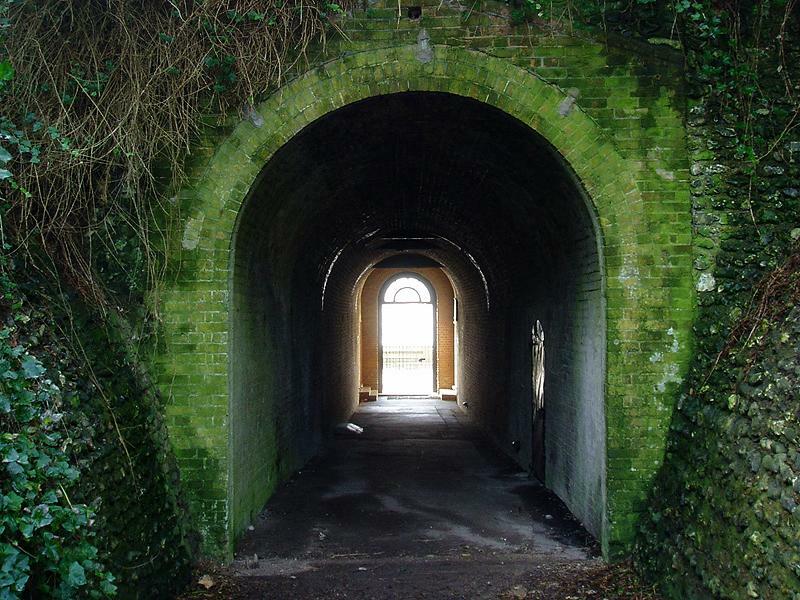 At the end of the tunnel that is said to have inspired Lewis Carrol’s rabbit hole in Alice in Wonderland sit two of Brighton’s most curious properties. I was lucky enough to have seen them both before and after their amazing transformation. I first saw the properties as a prospective purchaser several years ago. I knew that a builder had already put in an offer and although I was certainly tempted, I knew straight away that it would have been too big a project for me. Not only had the properties been left derelict since the Second World War, they also sit beneath the road in front of Lewes Cresent, directly in the path of the strongest sea winds. 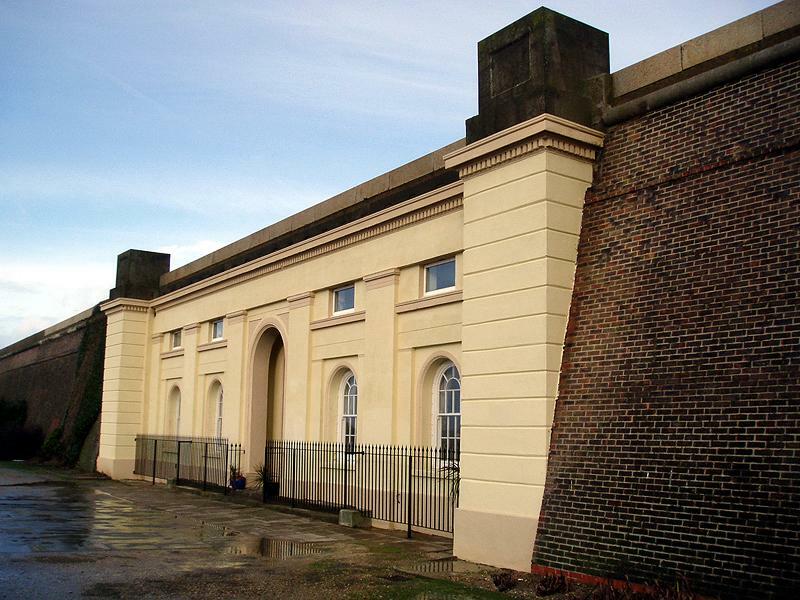 To sum up, they were two damp and gloomy – albeit interesting – Grade II Listed shells. The properties in question are the seafront cottages that served the original Kemp Town estate. Back then, Kemp Town included just Lewes Crescent, Sussex Square, Arundel Terrace, Chichester Terrace and their various service roads. It was not the large area that is known as Kemp Town today. The cottages flank the private tunnel that leads from the central Lewes Cresent gardens down to the seafront. It is in fact possible to see their chimneys as raised sections of the sea wall. Although the facades of the houses of Lewes Crescent were completed by 1827, the rear sections of many of the buildings remained as shells for many years after. The crescent itself has a span of 840 ft and is undoubtedly one of the country’s finest. The passageway was excavated in approximately 1830. When I first saw the cottages, the first floors were completely missing so that it was possible to actually see the steel supports that hold in place the pavements of Marine Parade. The windows and doors were bricked-up. I predicted in my first column on the cottages that they would become two of the most unusual dwellings in the city. I was right. The latest great news concerning these fine pieces of local history is that the reading rooms below, which have been a disgraceful mess for years, are now available to let. When a tenant is found, the cottages will be an even more attractive place to live. One cottage has already been snapped up. Call Michael Totman at Fox & Sons in Kemp Town for information on the other. This week’s column is a milestone for me as it’s my 100th column for Latest Homes. It’s therefore only proper that I write about a building that is particularly special. No. 19 New Church Road in Hove fits that criterion perfectly. The Vallances were a family of brewers who owned much of Hove. No. 19 New Church Road was built for John Olliver Vallance in 1877 and was named Brooker Hall after his father, John Brooker Vallance. The Prince Regent is said to have stayed with John Olliver Vallance’s grandfather, John Vallance (confusingly), at the family home, Hove House on Hove Street. 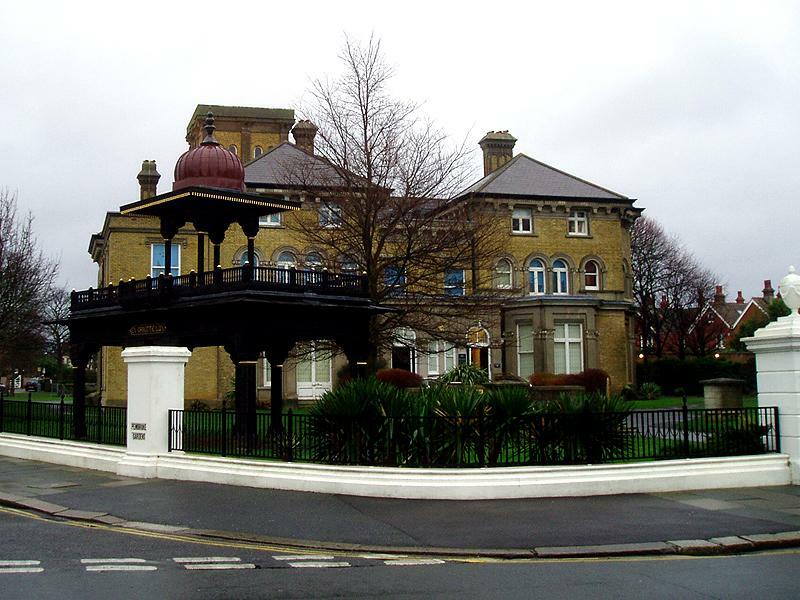 Both Vallance Gardens and Road, named after the family, were built on its grounds but soon afterwards it was demolished to make way for the Hove Manor block of flats. The Vallances claimed to be related to Aymer de Valance – the most famous of the Earls of Pembroke and a close relation to Henry III – and named Aymer Road and Pembroke Gardens, Crescent and Avenue in his honour when they developed their estate. Thomas Lainson, the surveyor of the Vallance Estate, was the architect responsible for Brooker Hall and, indeed, many of the buildings in the area. He designed lots of great buildings around Brighton & Hove including Middle Street Synagogue, Norfolk Terrace, Adelaide Mansions and the Royal Alexandra Hospital. Brooker Hall was built very much in the style of Osborne House in the Isle of Wight, Queen Victorias’s favourite retreat. Shared features include belvederes (towers), arched windows and corbelled eaves. 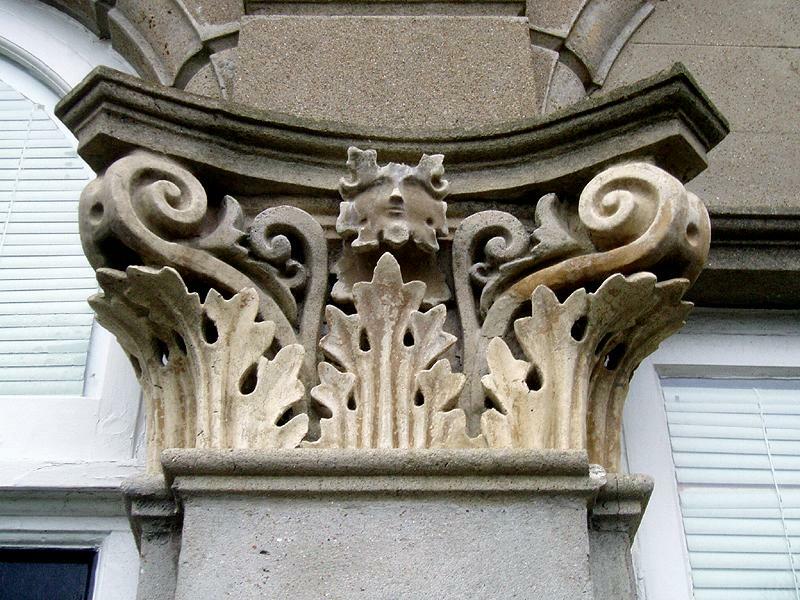 The Green Man is an interesting detail which has been incorporated into decorative elements on the front of Brooker Hall. It appears as a small face with an odd expression above foliage; not green at all actually. It is normally found in old church carvings all around Europe – certainly not on houses in Hove. Brooker Hall opened as a museum in 1927 after being purchased by Hove Council following the death of Mrs Brooker (the wife of John Olliver Vallance). Brooker Hall, now known as the Hove Museum & Art Gallery, is well worth a trip – like all of our local museums. Unsurprisingly, I recommend the section on local history. The Jaipur Gate, which is set in the museum’s grounds is truly something and will get a column of its own soon. For more information on the museum, see www.hove.virtualmuseum.info or call 01273 290200.